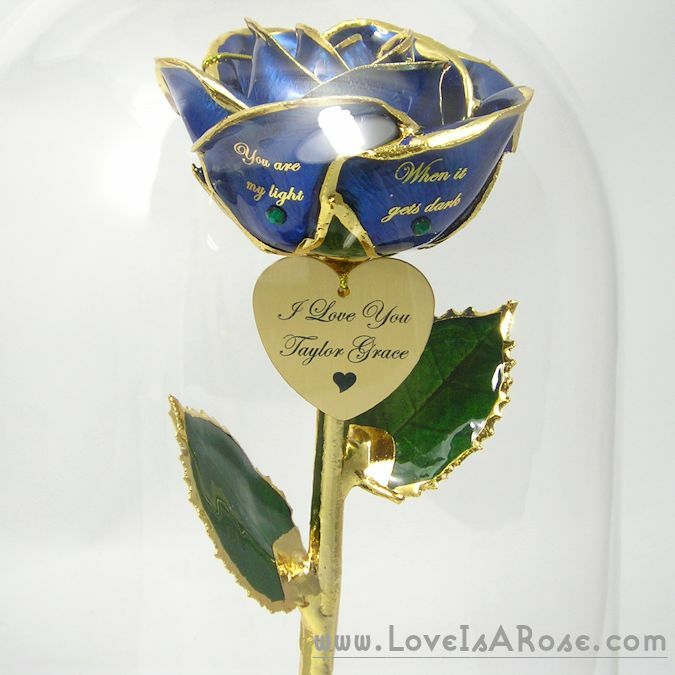 “You are my light, When it gets dark” This short love message was split into to imprints on a beautiful personalized gold rose in a glass dome pictured below. “I Love You To The Moon & Back ❤ ” This sweet love message was printed out on our beautiful floral paper as a free message card that was included with this beautiful gold rose gift package. These short and sweet love messages might not be not be a novel proclaiming this customers love for his wife, but it embodies exactly what our roses are symbolic of. Everlasting Love. This message was paired with a personalized gold rose that also has an engraved heart charm. This gold rose has a natural dark blue petal color and it is set in a vase and protected by a beautiful glass dome. 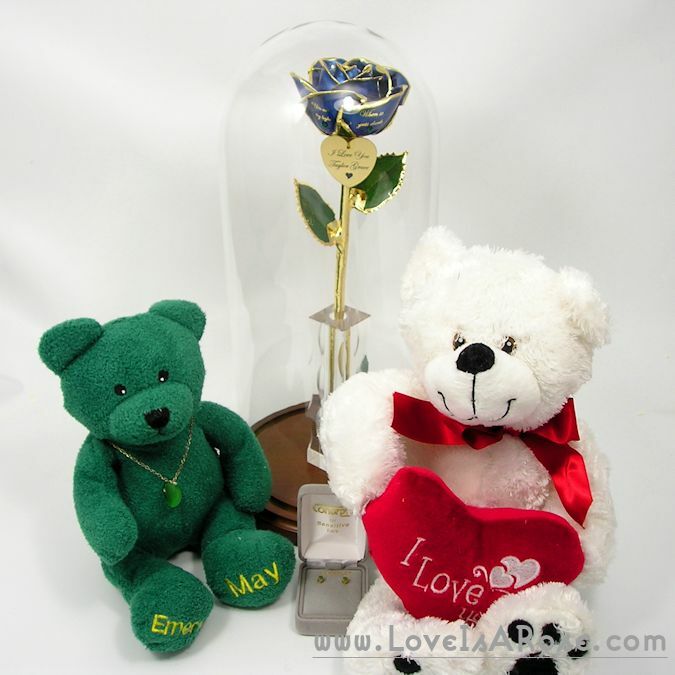 The customer also opted to add two birthstones, a birthstone bear, birthstone earring and our I Love You bear. There is no doubt in our minds that she was blown away with this heartfelt anniversary gift paired with these beautiful heartfelt love messages.